The Sunday bird walk went to Neck Point Park in Nanaimo. The morning was cloudy with strong winds—AND no smoke! 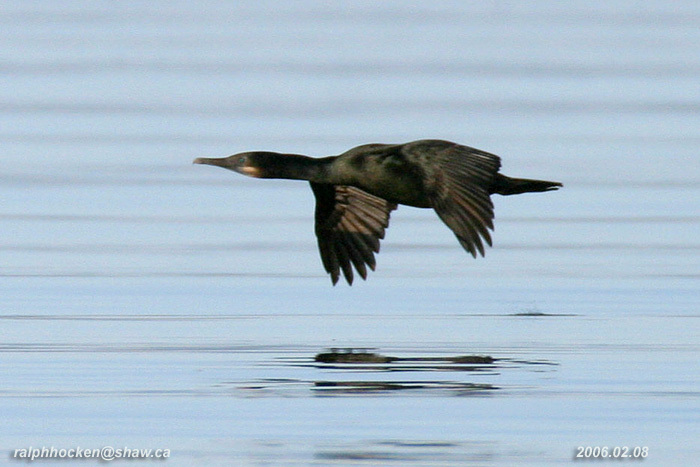 A Marbled Murrelet, a Pigeon Guillemot, a Brandt’s Cormorant and a large number of Double-crested Cormorants and Pelagic Cormorants were seen offshore on the Strait of Georgia. We watched a Bewick's Wren preening itself on a tree not far from the trail. A Cooper’s Hawk flew overhead at the end of the walk. 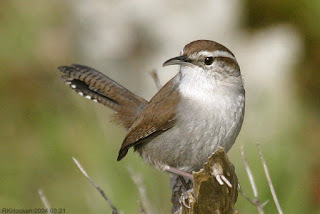 Bewick’s Wren: Ralph Hocken Photo. 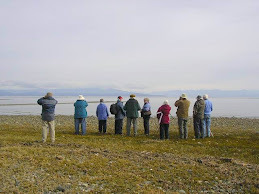 The Sunday Birdwalk on August 20, 2017 will be going to the Plummer Road side of the Englishman River Estuary in Parksville. Meet at the Birdstore at 9:00 a.m. or at corner of Plummer Road and Shorewood Drive in Parksville at about 9:25 a.m.